Comments: Attracts butterflies, particularly the monarch. Crown rot can be a problem in wet soils. This is a native species but most often seen growing in relatively small colonies across the South. Very difficult to transplant. The large roots are tuberlike and grow relatively deep giving plants the ability to grow in dry soils. 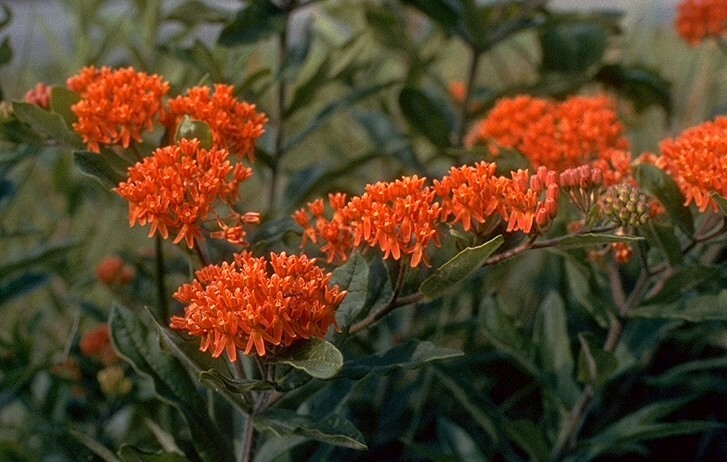 Common name derived from the fact that several species of butterflies visit the bright orange flowers and often lay eggs on the foliage. Existing colonies should be protected because populations are relatively sparse.